The security cameras included our our Weather Proof Infrared Dome Vari-focal Security Cameras (1920 x 1080 resolution). 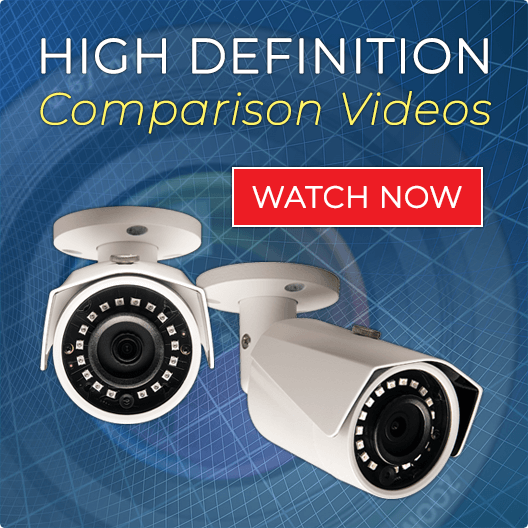 These cameras have an adjustable 2-12mm lens and can be used Indoor and Outdoor. 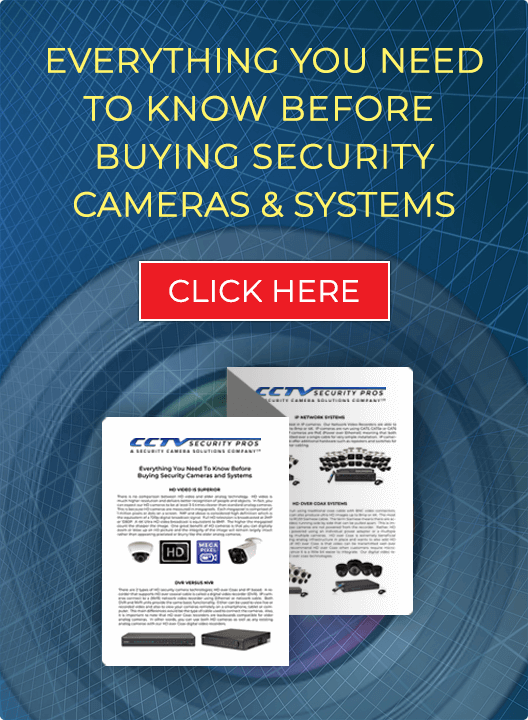 The cameras are Vandal Resistant and can be used in tough environments. The adjustable lens enables you to adjust the focus and zoom to the best angle for you. Whether you need an angle for a hallway, close up of an object, or even a wide angle view, the adjustable lens will enable you to do just that. These cameras are both wall and ceiling mountable. Finally, the cameras have infrared illuminators built in, enabling you to view video up to 100 foot away in complete darkness. Our 2MP 1080p Infrared Vandal Dome Indoor/Outdoor Security Cameras are a a great solution for a variety of applications. They provide super high definition viewing and recording up to 1080p. The built in Infrared Illuminators enables these cameras to see up to 100 Foot in Complete Darkness. This cameras have an adjustable varifocal lens from 2.7-12mm. This enables you to determine the perfect width and zoom for your application. "Really good camera. Works really well down the aisle of my store when I adjust the lens." "Good camera in day and night. I would not hesitate to recommend them. Also, the reps are courteous and answer immediately..."
"Great small little camera. Blends in well with decor. Great HD picture too." "Really good company to work with. You get what you pay for!" "I purchased a system from (big box store) and I was unimpressed. It was not working correctly and the recorder was not user friendly. I took that camera system back and ordered yours. It was a whole different experience. The cameras camera quickly, worked great, and you actually have real support which was nice to. I got your repeat customer email and appreciate it." "Love the wide 2.8mm lens adjustment. It provides me more than a 90 degree field of view. The wider the better for me and this is very good." "Works very well. Using in home." "I am happy I chose to go with your company. Quality of the cameras is a different level. You guys do a good job and that is why I come back." very good system much clearer than older system. recommend upgrading hard drive if you need to record 24/7.